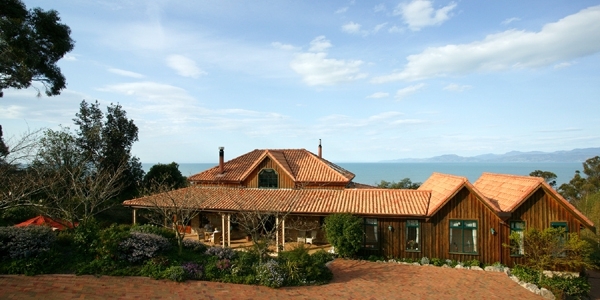 Purpose built from imported Australian Sandstone, Sandstone House is located above Ruby Bay with panoramic views over the Tasman Sea. The ambience is enhanced by the deep verandahs, the high ceiling and clay-tiled roof. 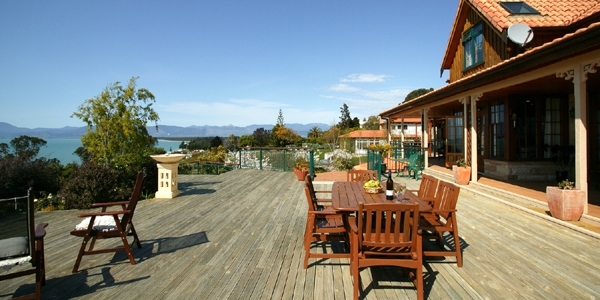 Sandstone House is the ideal place to relax, stay a few days and explore this delightful region. We are open for most of the year - just closed for 3 months over Winter. Guests can enjoy the privacy of their own wing with a separate entrance, and private verandahs opening from both bedrooms. Each suite has an ensuite bathroom with shower, toilet and vanity with all the necessary toiletry provisions. The room has a writing desk, also a TV and DVD player, Radio & CD player for your enjoyment. The kitchenette with fridge is well stocked with complimentary tea and coffee etc. Continental breakfast provisions are supplied in your room for you to enjoy at your leisure and this is included in the tariff. Restaurants are only a five-minute drive away at the village of Mapua or on the Mapua Wharf and are open for breakfast through to dinner. We have 40 years of local knowledge and are happy to assist you make the most of your holiday and can help you with any other reservations you may require. We are keen for you to have the best of stay and trust you will enjoy our relaxed and homely atmosphere - our place is your place. Feel free to enjoy a drink, snack or a BBQ on either the front deck or the back verandah - depending on the weather. Feast on the fabulous views anytime and be sure to check out all the wonderful local attractions. We hope you have a safe journey and look forward to meeting you and sharing our delightful spot overlooking the Bay.